Product categories of Medical Parts Machining, we are specialized manufacturers from China, Medical Parts Machining, CNC Machining Spare Parts suppliers/factory, wholesale high-quality products of Medical Equipment R & D and manufacturing, we have the perfect after-sales service and technical support. Look forward to your cooperation! When machining for the medical industry, what you make matters on a very personal level. Orthopedic parts, medical devices and special packaging are just a few of an increasingly complex catalog of medical parts that have resulted in remarkable medical breakthroughs while testing the limits of manufacturing complexity and efficiency. 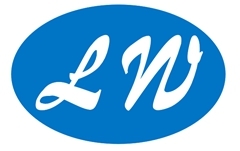 LW delivers effective medical machining solutions for a wide range of products that continue to grow in complexity, even as they shrink in size. Whether taking on titanium alloys, cobalt chrome, stainless steel or the extreme precision of micromachining, Makino has the machines, the processes and the engineering solutions to manufacture the next breakthrough.